Nigeria ’ s oil supply to India has hit its lowest level for this year, with the Asian country intensifying effort to diversify its sources of the commodity . India has remained the single largest buyer of Nigerian crude oil in the past few years after the United States slashed its imports from the country on the back of shale oil production boom . But the latest monthly report of the Nigerian National Petroleum Corporation showed that India lost its spot as Nigeria ’ s biggest oil buyer to the US . According to the NNPC, India bought 7 . 67 million barrels in May, down from 12 . 49 million barrels the previous month . The Asian country imported as high as 14 . 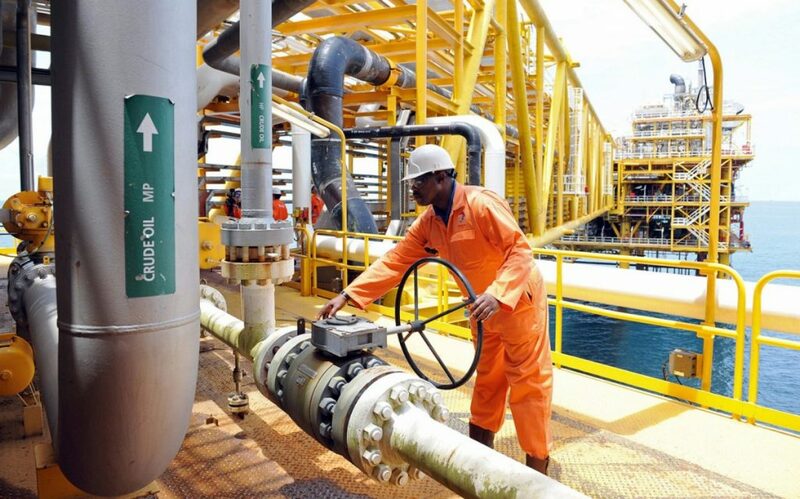 61 million barrels of Nigeria ’ s crude in January ; 11 . 64 million barrels in February , and 12 . 63 million barrels in March . In December , its import of Nigeria ’ s crude tumbled by 8 . 6 million barrels to a record low of 5 . 82 million barrels , compared to the 10 . 11 million barrels purchased by Netherlands , which emerged the biggest buyer . Refiners in India, the world ’ s third biggest oil consumer , recently stepped up crude oil purchases from the US as cheaper alternatives have emerged due to a supply glut in the global markets . Last month , Indian Oil Corporation bought 1 . 9 million barrels of US crude in its second import tender seeking oil from the Americans , making it the first Indian refiner to purchase Eagle Ford shale oil. The latest purchase came after a previous import tender where the IOC bought 1 . 6 million barrels of Mars crude and 400 , 000 barrels of Western Canadian Select . Indian refiners have turned their sights to crude from the US as they are keen to diversify their crude import sources as arbitrage opens due to global oil supply cuts. Rising production and supplies from the US have also made arbitrage economics feasible for Indian imports . India’ s Hindustan Petroleum Corporation announced last month that it planned to buy low - sulphur oil from the US in the next few months for its 166 , 000 barrel per day Vizag refinery in southern India. The HPCL’ s Finance Chief, J . Ramaswamy , said the company was evaluating if Nigeria ’ s sweet oil could be replaced with the US oil. He added that the HPCL had the appetite to import a very large crude carrier containing two million barrels of the US oil every month . The US had in December 2015 removed the 40 - year- old restrictions on its crude exports , following the rapid growth of its oil production from 2013 to 2015 . Meanwhile , the US import of Nigeria ’ s crude oil rose to 55 . 78 million barrels in the first half of this year from 45 . 09 million barrels in the same period of 2016 . The US Energy Information Administration revealed in its latest data that the country bought a record 10 . 24 million barrels from Nigeria in March , the highest monthly import since July 2013 . The US almost tripled the volume of crude oil bought from Nigeria last year , with the biggest monthly import of 8 . 43 million barrels in July. It imported 76 . 9 million barrels of Nigeria ’ s oil in 2016 , up from 19 . 9 million barrels in 2015 . Nigeria saw significant reduction in the US imports of its crude in recent years , starting from 2012 , following the shale oil production boom. The US import of Nigeria ’ s crude fell to 6 . 17 million in June 2013 from 10 . 115 million barrels in May and about 40 million barrels in March 2007 . In 2014 , when global oil prices started to fall from a peak of $ 115 per barrel , Nigeria saw a further drop in the US imports of its crude from 87 . 4 million barrels in 2013 to a record low of 21 . 2 million barrels . For the first time in decades , the US did not purchase any barrel of Nigeria ’ s crude in July and August 2014 and June 2015 , according to the EIA data .